It’s an interesting time to be a law student in New Zealand. This year, between February and July, there is an ongoing ‘conversation’ occurring regarding New Zealand’s constitution. I had the pleasure of attending a panel that featured speakers from the Constitutional Advisory Panel, practicing lawyers, and some of my own professors from right here at the University of Canterbury. Many audience members took park in expressing their views about New Zealand’s Future. New Zealand is one of just a few countries that doesn’t have a written constitution, and right now, that’s under review. The review process, sparked by an agreement between New Zealand’s National and Maori parties, is hugely collaborative. Submissions are being sought from everyone across New Zealand on whether they’d like to see constitutional reform, and what shape a written constitution could take. 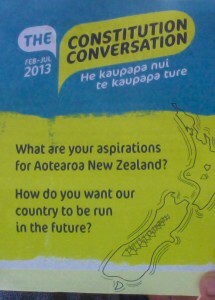 The ‘conversation’ has been made accessible to New Zealanders through a variety of panels, public meetings, and online. 1. The pros and cons of having the constitution written down in a single document. 2. The role of the Bill of Rights Act 1990 in the constitution. 3. The role of the Treaty of Waitangi in the constitution. 4. Māori representation in local and national government. 5. Electoral issues such as the size of Parliament and the length of term. For a country that, in my opinion, is quite similarly thinking to Canada, the constitution is starkly different from ours. Not only is there no one written document (which mirrors the British model), but there is a lack of constitutional clarity on indigenous issues, human rights, and the role of the judiciary in declaring laws to be inconsistent with the Bill of Rights. The Bill of Rights Act 1990 closely mirrors the Bill of Rights that was Canada’s primary human rights document prior to the Charter. It is quite a weak rights document comparatively; the New Zealand judiciary has little power to strike down laws that are inconsistent with the Bill of Rights. A major question for New Zealand will be whether to address this, or to leave the status quo. Currently New Zealand has an immensely powerful parliament, with little check to their power. I believe it was Prime Minister Robert Muldoon once said that if he thought of a piece of legislation he wanted to pass at breakfast, it could be law by lunchtime. New Zealand has no upper house, and no formal constitutional supremacy, meaning that Parliament can by and large do what it wants. An interesting difference between New Zealand and Canada is the term of Parliament. In New Zealand, this is 3 years, which is interesting given that the electoral system is mixed-member proportional representation. The result of an ‘MMP’ system is that there are more parties represented in the house, and thus there is more collaboration between parties. Some have pointed out that this collaborative system is somewhat slow moving, and that a longer term is warranted. The Treaty of Waitangi is perhaps the most controversial issue amongst all of these constitutional questions. It was signed between Māori and Pākehā (the term given to New Zealanders of European origin) in 1840. It is considered to be New Zealand’s founding document, and thus is likely part of New Zealand’s constitutional framework. However, the English and Māori texts of the treaty were quite different. There has been much litigation and legislation surrounding the Treaty, but with little resolution as to its true force and power. 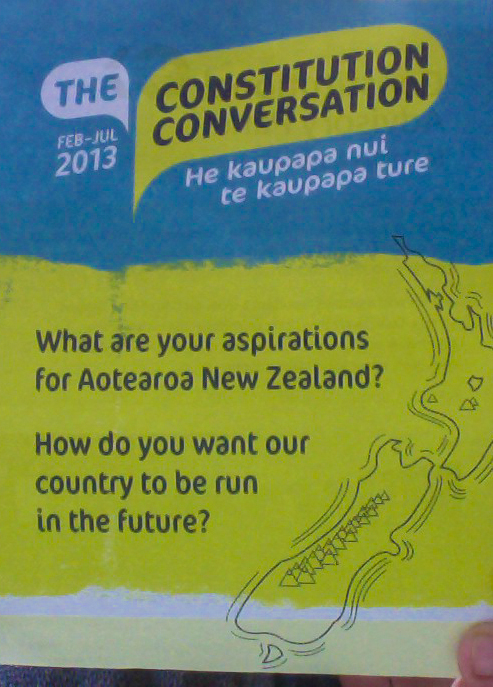 This ‘conversation’ will offer New Zealanders the chance to express themselves, offer their views, and to educate themselves on their constitution. While the conversation may not lead to any true reforms, it seems like it is a fantastic exercise for a country to come together, to discuss their identity, and to forge a path to a common future. The website is worth checking out. 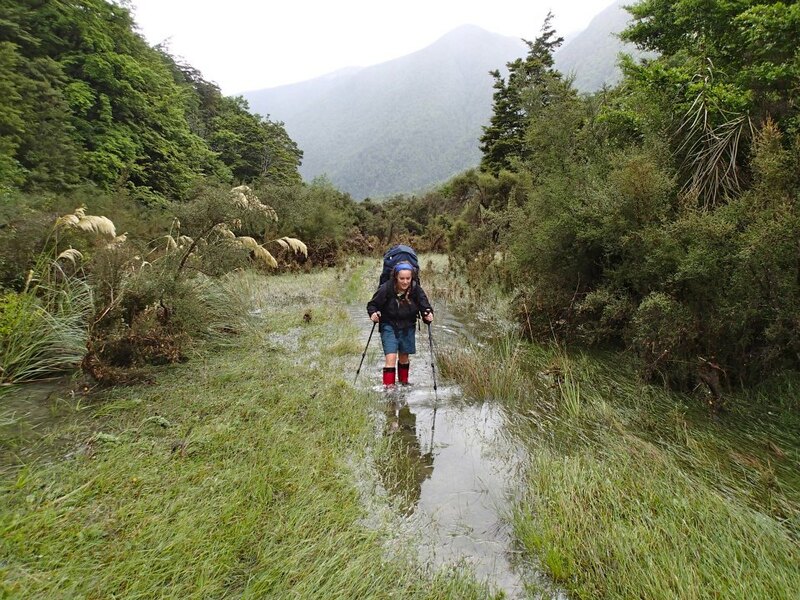 It’s amazing how accessible this review is to ordinary New Zealanders, and the efforts that have been made to get input from everyone. The cover of a brochure about ‘The Constitution Conversation’. This entry was posted in Uncategorized on May 18, 2013 by robyng. I have an admission: networking terrifies me. Wine and cheese functions give me serious anxiety. I’ve observed other students networking like pros, charming everyone in their wake and carrying reams of business cards. I am not that person. However, I’ve managed to get past that and find some value in going out of my comfort zone to meet people. On some occasions I’ve even enjoyed it and have found it to be a valuable experience (for more about the value of networking, check out Beverly’s post). 1. Seriously consider your handshake. Maybe try it out on a few friends. At a wine and cheese function you will likely shake a lot of hands, and if you are a bone crusher/dead fish, this may not play out in your favour. 2. You might be the world’s greatest stand-up comic in your own mind, but your mind doesn’t necessarily mimic reality. Save your jokes for later. You might see an email about a wine and cheese function and think, man, I’ve only got $0.37 in my bank account. This is a great opportunity for a free feed. If you aren’t interested in meeting anyone, then game on. But, if you actually want to use the wine and cheese as a networking opportunity, don’t get too food-focused. 3. Know your purpose. Are you actually there to meet people, or are you there for the free food? If you are actually at a networking function with the purpose of networking, take advantage of the time when the hot food first comes out to introduce yourself to a few people. Many other students will be weaving in and out of the crowd chasing crab cakes. However, if your purpose is to get a free feed, get in there early! Keep an eye on the door and suss out your hot food options. One of my worst mistakes has been going up to an employer’s booth and starting a conversation purely because there was no one else there. This is not in and of itself a bad thing to do, but I once went up and spoke with someone from a firm that specialized in Securities Law for ages. I realized early on in the conversation that I had absolutely no idea what securities law was. I just nodded along and said, “Oh, that sounds interesting,” at what I figured were appropriate moments. I gained very little from the experience, and I’m sure that the person talking to me could tell that I was only half there. 4. Learn a bit about which firms you’re interested in and who you want to talk to. If you have a purpose, this will likely make you feel less awkward. Do some research and think of some questions you might want to ask. By doing this, you can learn quite a lot of interesting things about what life might be like working in different areas of the law. Networking need not be a source of anxiety. It can be a perfectly enjoyable experience provided that you go prepared and with a clear focus. Good luck, and happy networking! This entry was posted in Uncategorized and tagged Networking on March 14, 2013 by robyng. 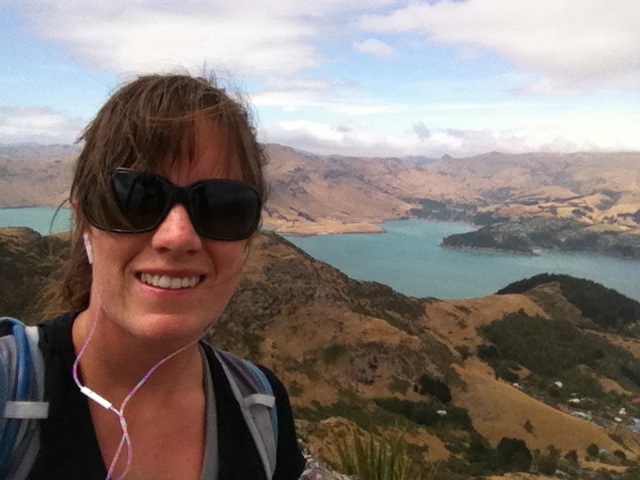 Here in Christchurch, New Zealand, the semester has just begun. My extended Christmas vacation has finally ended and I’m embarking on a new experience and adding another student card to my already extensive quiver. It’s hard not to miss the immaculate classrooms and conveniences of Allard Hall, but I’m really looking forward to the experience of studying in Christchurch. Last week we international students had our induction and welcome, and amongst the eager new faces (some as young as 16!) I felt like somewhat of a veteran. Not only am I a bit older than some of the students here, but I was in Christchurch for its first big earthquake in 2010, so when our welcome lecture opened with cautionary notes about what to do in the event of an earthquake, I didn’t feel the need to panic. Growing up in Vancouver also means that you get to be somewhat of a duck-and-cover expert, given the yearly earthquake drills. We’ve had a few little quakes since I’ve been here, but nothing too terrifying. Residents of Christchurch have developed a pretty relaxed (and typically Kiwi) attitude towards these little tremors, and puns about the ‘city that rocks’ or ‘shaking things up’ are hugely popular. It seems that there are many ways to help Christchurch rebuild and develop from the earthquake. There is a ‘Student Volunteer Army’ which helps with various rebuild projects, and even a class called ‘Christchurch 101’ which allows students to participate in rebuild projects for credit. 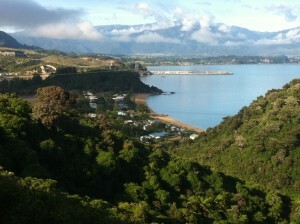 It’s nice to see the community strengthened and united despite the earthquake’s destruction. (Side note: we should name earthquakes. It sounds better to say ‘the destruction caused by Sandy’ rather than ‘the destruction caused by the earthquake’. Maybe there should be a threshold – say anything over a 6 on the richter scale gets a name?). The author enjoying a trail run in Christchurch’s Port Hills. Life at Canterbury University has its differences to UBC, but also a few familiar themes. Next week will commemorate the second anniversary since ‘the earthquake’, and campus is still busy with construction crews and clusters of temporary buildings. This is a familiar sight to someone from UBC’s perpetually under-construction campus, and in particular to students who moved into Allard Hall while the building wasn’t quite ready for us. One difference I’ve been quite excited about is that the campus security patrollers ride Segways. Segways! I didn’t know those existed outside of Arrested Development (the greatest show ever to grace television screens). I am considering applying for a security job just so I can rip around campus on one. A career in law vs. a career on a segway? I think there is a clear winner here. I’ve been nervously anticipating the first day of classes, wondering what the study of law in a different country would bring. I was worried that things would quickly get out of my depth, that professors would refer to unfamiliar cases, and that I would make mistakes about the structure of the New Zealand court system. Imagine my surprise when we spent a significant part of my first lecture (on the New Zealand Bill of Rights Act) discussing the Canadian Charter of Rights and Freedoms! When the professor (as it turns out, a UBC alumnus) asked if any of us were familiar with the Oakes test, I shot my hand up excitedly. As it turns out, Canada is kind of a big deal for our entrenched Charter. This is my second exchange to New Zealand, having attended the University of Otago for a year as part of my Bachelor of Arts at UBC. I’ve been curious to see if there is a significant difference in the culture of arts students and the culture of law students. I remember distinctly being classed as ‘that American nerd’ by a number of my Kiwi classmates during my previous exchange, as I was often the only student who spoke in class (and let’s face it, no one can tell the difference between Canadians and Americans). It seemed that speaking in class was just not the done thing – even when professors were posing specific questions. I didn’t really mind being the outspoken stand out in class; I wasn’t there to look cool in front of my class mates, and as a result I gained favour with my professors, who became very useful references when I began my law school applications. The silent approach to learning that characterized my previous exchange definitely contrasted my experience as a UBC Arts student, but even more so my experience as a UBC Law student. I have found my classmates at Allard Hall to be inquisitive, vocal, and generally actively engaged in class discussion. In my experience so far at the University of Canterbury’s law school, the students seem to be fairly vocal and engaged. I’m finding this to be a relief as I dread that moment when the professor poses a question and everyone looks at their feet/computer/notebook/phone. While I wish that there was a button on Facebook that would allow me to block the words ‘skiing’, ‘snow’, and ‘powder’ from appearing on my news feed, I’m still happily soaking up the New Zealand summer sun and looking forward to an exciting semester. 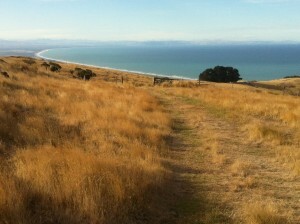 Evening sun in the Port Hills above Christchurch, New Zealand. This entry was posted in Uncategorized on February 17, 2013 by robyng. As the December exam period nears, you can feel the atmosphere of the school change. The library fills with students leafing furiously through case books, glaring at SNAILs occupying coveted library territory. The weight of the feeling of impending doom of exams can be hard to bear. Last December exam period I struggled with the stress, succumbed to panic, and spent a significant part of the end of first term curled up in a ball ruing the day I chose to come to law school. Despite the fact that December exams don’t really count for first years, I managed to work myself into a frenzy. My boyfriend fondly recalls the sobbing fits and outright madness that characterized December 2011. You’ve heard it before, but it can’t be stressed enough. You DO NOT need to commit every waking hour to studying to succeed. It is equally important to take some time each week to do the things you enjoy. Otherwise, law school can become an evil oppressive force in your life that prevents you from doing what you love. When you study, focus. When you’re not studying, avoid the books. Compartmentalizing my time really helped me to study effectively. I’m an outdoorsy person, and I realized that a large part of my December stress was due to the fact that I wasn’t getting outside as much as I was used to. The ski season was starting and I was stuck inside hitting the books. I skipped out on several opportunities to go skiing, hiking, or climbing because I was ‘too busy’ with school work. Instead of giving me more opportunity to study, this made me depressed and ineffective. During second semester, I spent one day out of every weekend skiing, sometimes two. I made myself promise that if I got the opportunity to get outside, I would work twice as hard on my study days. I would work more effectively knowing that I could reward myself if I achieved certain goals. I would decide that I could have a day off if I read a certain number of cases or canned a certain amount of the course. I would highly recommend this method to anyone who is feeling like they are lacking time for the things in their life outside of law school. Not into skiing? Try motivating yourself with a day to spend with your significant other, a day at the movies, a day to indulge in TLC… whatever floats your boat. I had the good fortune in first year of having a great small group; we were willing to work together to succeed. I think that we all benefited from the fact that we did not compete too heavily with each other, shared notes, and worked together. We helped each other resolve our mistakes and highlighted difficult portions of the course material. In first term, we hadn’t sorted out how to run study groups effectively. We had a number of sessions with too many people or that lacked focus. This often ended up degenerating into arguments and frustration. By the end of second term, we found that the best sessions had a structure. Working through old exams together and highlighting the issues let us red flag problems we were having with the material. We also would run through the syllabi and make sure we were all on the same page with the rules in each case. If there was disagreement, we could resolve this with the professor. Both of these methods provided structured discussion about the course. Outside of study groups, we were always willing to share notes, cans, and study tools. It felt great to have a network of supportive people who were just as willing to answer my late night texts as to indulge in a celebratory beer at every first year milestone. During first term I couldn’t conceive of having enough time to exercise during exam period. In April I managed to get in at least 45 minutes in the gym before every exam. By the time I headed to campus for exams, I was on my toes and thinking clearly. Exercising also gave me the opportunity to plug in my headphones and listen to some music, clearing my head. This was the biggest key to fighting stress and keeping me relaxed during exam period. It was well worth the hour or so spent away from the books. Surviving exams isn’t a challenge in endurance studying. Take some time for yourself, keep doing the things you love; work hard – but work effectively. This entry was posted in Uncategorized on November 16, 2012 by robyng. I recently joined a fairly exclusive club at UBC Law: the NOCI Club. We are the bunch who sat around soaking up the later September sun outside Allard Hall watching our friends don their best business duds and head off for their On-Campus Interviews. (OCIs, thus NOCIs. Get it?). While I was feeling pretty good about my choice, as my friends became increasingly strung out and stressed, OCIs inspired in me a particular kind of panic. I call this the ‘ohmygodwhatamIgoingtodowithmylife’ crisis. The ‘ohmygodwhatamIgoingtodowithmylife’ crisis can become acute in law school. Careers are discussed frequently and there are a lot of opportunities available. The breadth of opportunities can be overwhelming. Somehow it occurred to me somewhat late that law is a professional program, meaning the end goal is a job. While this was probably obvious to a lot of students, this was quite a shocking change from my Bachelor of Arts in Modern European Studies with a focus in Creative Writing (not exactly a career focused degree). As a result of this panic, I went to the Career Services Office. I talked to them about my incredibly vague plan of practicing rurally. It was reassuring and stress-relieving. The negative of being in a professional program is that undoubtedly you will feel pressure to figure your life out. The positive is that there are plenty of people who are on your side and want to see you succeed. What I learned is that while yes, some people will get summer jobs and potentially get a jump start on their careers, that doesn’t mean anyone else should panic. More opportunities will arise, and while it’s good to start thinking about jobs, there is no urgent necessity to suddenly have a firm direction. The best solution to the ‘ohmygod’ crisis is simply to relax, take a deep breath, and try to think a little bit about what you might like to do, not just what you definitely don’t want to do. This entry was posted in Uncategorized on October 13, 2012 by robyng.